American Airlines has raised its fee for tickets booked by telephone from $20 to $25, effectively matching the fee charged by most of its rival carriers, AOL Travel News has learned. The phone fee increase, which took effect yesterday, is the latest move by a major airline to boost back-end revenue amid soaring jet fuel prices, which is one of the biggest operating costs for commercial carriers. "It's one of those things we were looking at and saying, 'wait a minute, why are we the odd man out,'" says Ed Martelle, spokesman for American. The increased fee applies to passengers who need to call the American reservations number to book flights, as opposed to booking through the American Airlines website. 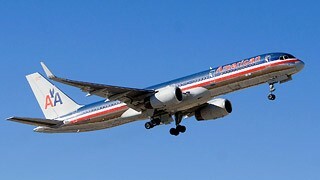 American joined other airlines in raising fares in recent weeks as the price of crude oil surged above $100 a barrel. Next to labor, jet fuel is one of the biggest costs for commercial airlines. Last week, American reported a 2.2% increase in revenue passenger miles for February, compared with the same time period last year. The figures show that higher fares have not yet hurt passenger demand, but analysts have warned that passengers will eventually resist higher fares, which is one of the reasons airlines are imposing new fees for "ancillary" services. Capacity, as measured by available seat miles, rose 3.1% compared with a year ago, however load factors, or the percentage of full planes fell slightly to 75.3% from 75.8%. United and Delta Air Lines officials were not immediately available for comment. US Airways charges a $25 fee for telephone reservations and there is no fee for making a reservation through its website. Last week JetBlue raised fees for its Even More Legroom seats and for a second piece of checked luggage. Last month, American was fined $90,000 by the Department of Transportation on Feb. 28 after an investigation showed they failed to disclose a $30 fee to passengers when they gave up their seats on overbooked flights.